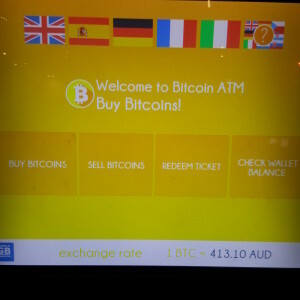 Have you ever wondered how to use a bitcoin ATM machine? I did so I set out to discover exactly how I could withdraw cash from one. I did as much research on the Internet as I could but still didn’t fully understand what to do. Here is a step by step guide of what I did. Hope someone finds this useful. 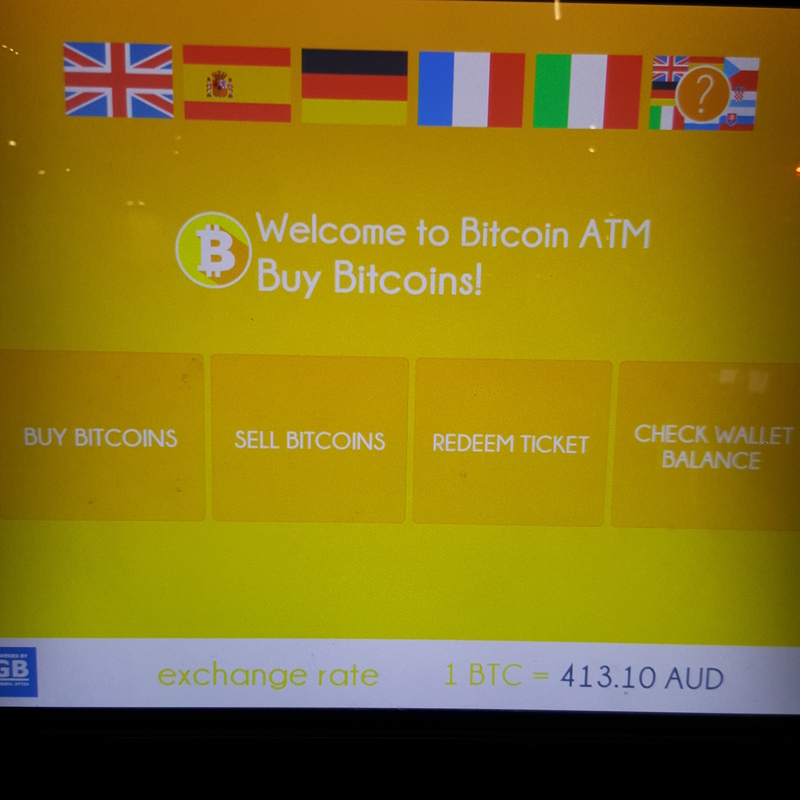 Because I was flying into Sydney (there are no bitcoin ATM machines in NZ), I only had one chance so had to understand what I needed ahead of time. Again from googling, I found out the only thing I needed was photo ID. I also contacted the ATM company to find out the denominations available. I had to make sure I had enough bitcoins! It turns out that withdraws under $300 do not require any form of ID. Over this amount requires registration under the KYC/AML (Know Your Customer/Anti Money Laundering) laws. 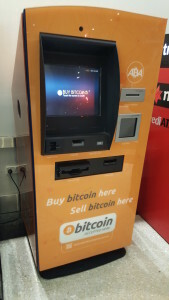 This is the actual machine from the ABA (http://abatech.com.au/) and it is located within Westfield mall. (http://abatech.com.au/locations). You need to provide your mobile number to receive a onetime password. International numbers are fine and the SMS arrives within seconds. Select what you want to do. I wanted to “SELL BITCOINS”. Select the amount. 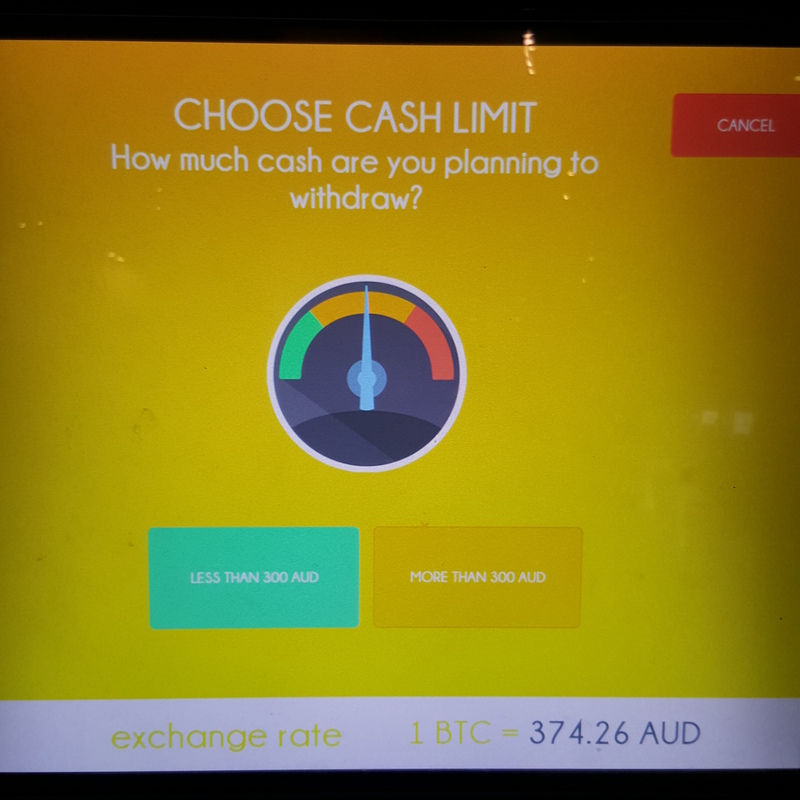 I selected “LESS THAN 300 AUD”. You are half way there. 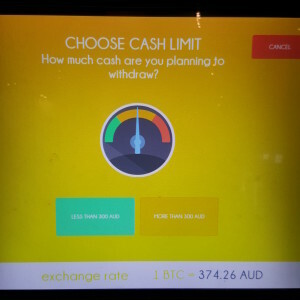 You are then presented with a screen confirming the exchange rate and with further instructions. 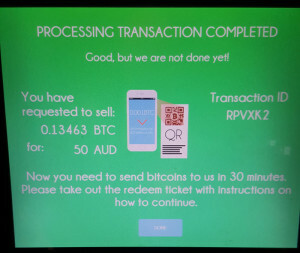 A slip of paper (ticket) will come out of the machine also confirming the details of the proposed transaction and a QR code which is the bitcoin address to send the funds to. You have 30 minutes to send the funds. If you send the funds outside of the time limit, you’ll actually get the funds sent back to you. On your mobile bitcoin wallet, scan the QR code and hit send. Everything should be pre-populated. This is the part where you need to wait for 6 confirmations or the equivalent of 1 hour. It can be frustrating, but currently this is just part of the deal. Your bitcoin wallet will keep you up to date of the number of confirmations. 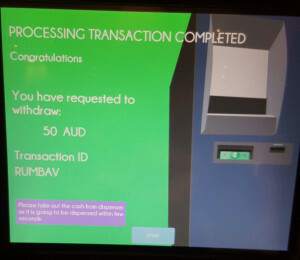 After the funds have been transferred AND confirmed, log into the ATM machine again via a one time password being sent to your mobile and select REDEEM TICKET on the ATM machine. Place the QR code in front of the scanner. You will get a PROCESSING TRANSACTION COMPLETED message. The cash will then be dispensed. Voila. The process may sound daunting at first but it really isn’t all that bad. 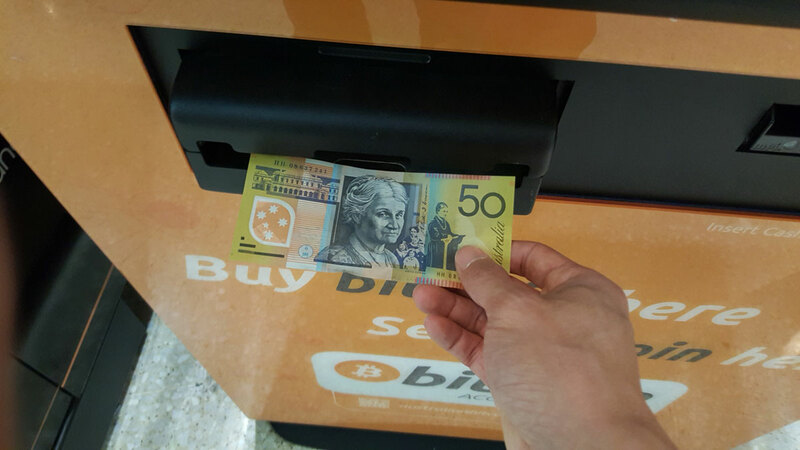 The worst part is when you are doing this for the first time and nothing happens and you think you’ve lost your bitcoins. Remember to let the devices do the work and not to type anything manually to avoid errors.